Is your property in need of a thorough deep cleaning? Here at A & B Commercial Cleaning Service, LLC, we provide intense, deep cleaning services for a wide range of commercial properties. Deep cleaning services provide a much more detail oriented, thorough cleaning of each corner of your property. A & B Commercial Cleaning Service, LLC stands by its employees and guarantees that each client receives 100% satisfactory results with every deep cleaning job. 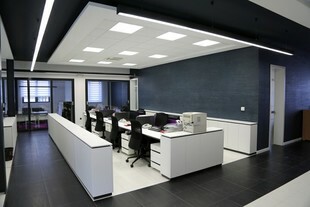 Call A & B Commercial Cleaning Service, LLC for all your deep cleaning needs.